Easily download videos from hundreds of websites. 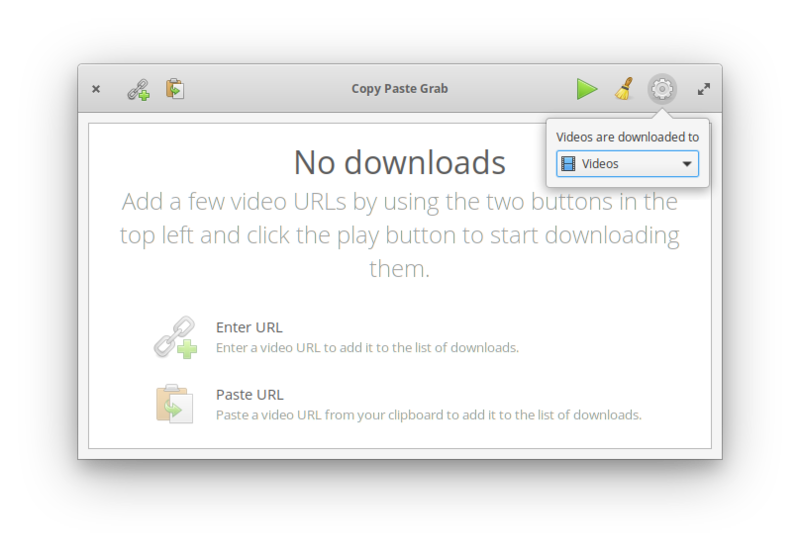 Just copy a link to a video, paste it into the app and it&apos;s going to grab it for you! Note: Not all video websites allow downloading videos, so make sure you only download from websites that explicitly allow downloading videos in their Terms of Service. Get Copy Paste Grab and more on elementary AppCenter, the open, pay-what-you-want app store for indie developers. Every app is open source and has been reviewed and curated by elementary to ensure a native, privacy-respecting, and secure experience.